It is the holiday season. 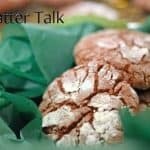 Here in the midwest, this year especially, that means it is the snow season, it is the very, very cold season, it is the shopping season, and for most of us, it is the pinnacle of the cookie season. Historicallly, I have been more of an eater of cookies than a maker of cookies, at least this time of year. Don’t get me wrong, I know my way in and around a cookie sheet. That said however, for most of my life, there are fewer places I would rather be than in and out of a cookie jar. We all have our favorite Christmas cookies. Perhaps favorite is not the best word for them. They are all my favorites. It is probably safer to say that there are, among cookies, unequivacable standards. There are date-filled, there are no-bakes, there are ginger, there are peanut butter, there are chocolate chip, and of course what is perhaps the king of all Christmas and holiday cookies, the sugar cookie. The simple truth is, there is an almost limited variety of cookies, this fact is more evident than ever during the season of Yule tides. Our cookie oven (which also happens to be our pizza oven, our casserole oven, our prime rib oven, and our all-baked-things oven) did a trial run last night with a new-to-me cookie idea. It’s simple, with just four ingredients, it’s fast to make, and as we found out – it is absolutely delicious. 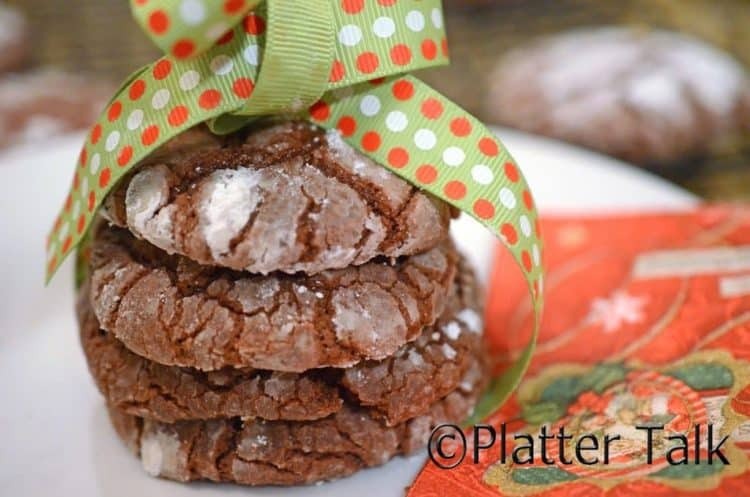 These fudge crinkle cookies use a cake mix as a primary ingredident. Don’t let that sway you, if you are looking for a great cookie, they taste nothing like cake. They are soft, they are dunkable, and they are as easy on the eye as they are on the palate. 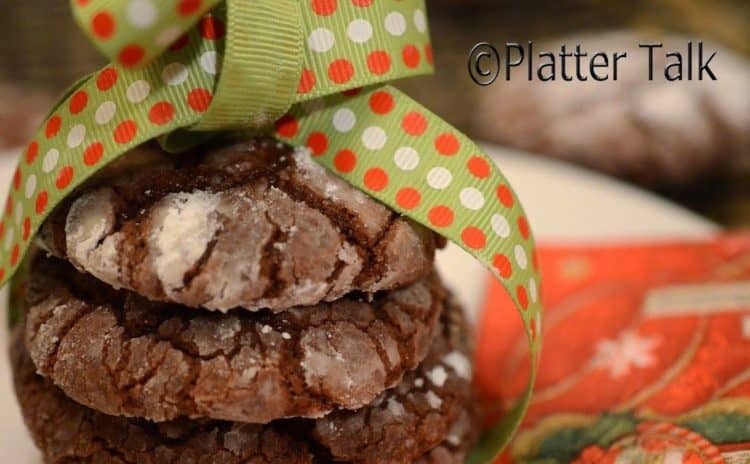 Give these a try and perhaps you too will have found a new holiday favorite standard! 1 18 1/4 ounce box devil's food cake mix. Betty Crocker super moist cake mix is what is suggested for this recipe. For more crinkles (or cracks,) roll larger dough balls, up to 1.5 inches in diameter. 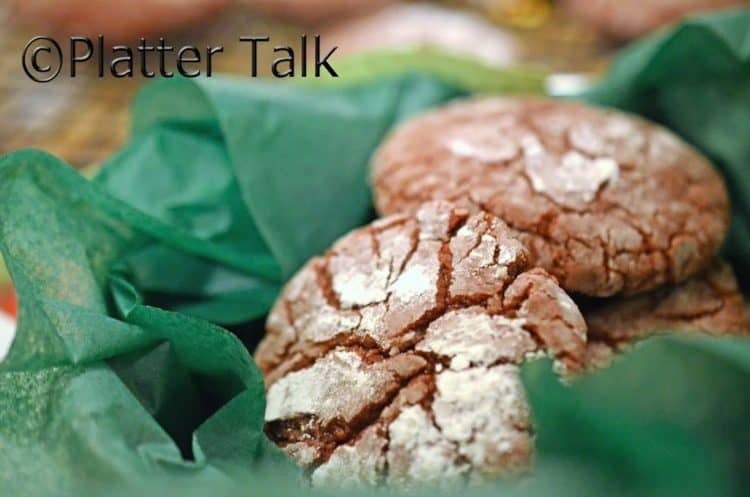 Allowing ther dough balls to dry slighly before rolling them in the sugar seems to result in less sugar being absorbed into the cookie thus resulting in more of a white powder coating on the finished product. 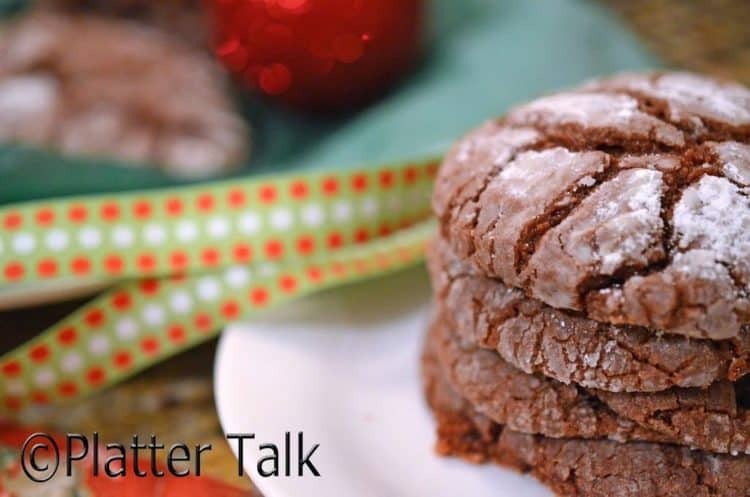 Stop by the Delicious Virtual Cookie Party Going on at the Link Below!! One of the easiest cookie recipe i ever seen! sing box mixes for cookies is so time saving and great even for a beginner! Love the pictures and these look fabulous. Gonna sub the dairy for non-dairy and use vegan chocolate and try them ASAP! Thanks for sharing. Crinkle cookies are my favorite! I can never get enough! They are just irresistible! I love that your recipe is even easier than mine. I need to try it! What adorable cookies. They would be perfect on a holiday tray. AND your tips are great. Love that you start off with a boxed cake mix. What a time saver. I’m definitely making these cookies. 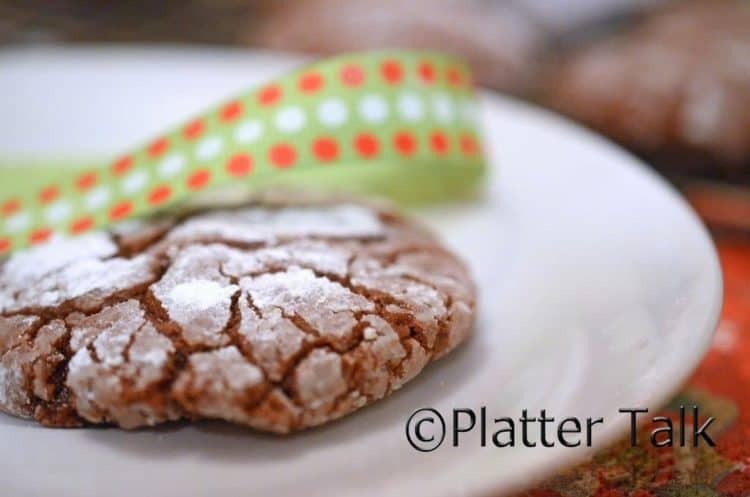 I love crinkle cookies, and love the simple ingredients in your recipe. I bet these are rich and chocolaty- yum! This looks so pretty. I bet they were gone in an instant. I don’t these would make it to the gift basket with my little cookie monsters around. They love such cookies. These cookies just add the extra touch to the holiday. Everyone’s favorite. Thanks for the idea!!!! I’m more of an eater than a maker as well! My problem with making cookies is I have no self-control, and next thing you know the entire batch is gone. That would certainly be the cake with these, because this is one of my favorite kinds of cookies. I’ve had quite the cookie craving lately. And these look chocolatey and delicious. I’ll be making them soon – not to share, just for me! What a great recipe! They have become everyones favorite christmas cookie. Almost everyone in my family makes sure to call me and ask me to make these every year. So easy to make and soo delicous! Well Dan I have a story for you. I tried making these once and stupid me even posted them, even though they taste good, there were no crinkles and mostly every comment I had was Where’re the crinkles. I am pretty sure I will be redeeming myself now because your’s are perfection and I cant wait to give them another try! ! These cookies look wonderful!! I might make these for our next ski trip!! Thanks for sharing them with us at Foodie Fridays…I’ll be spreading some foodie love around for you! Hope you had a wonderful holiday and wishing you a fabulous 2015 as well! These look perfect to bake and share! Thanks for linking up with What’s Cookin’ Wednesday! I’m with you Dan, mostly an eater these days than a baker! lol… and it doesn’t help when they go right to my hips! Love these fudge crinkles! Thanks for the recipe! These are totally adorable Dan! I love how you “dressed” these cookies up. 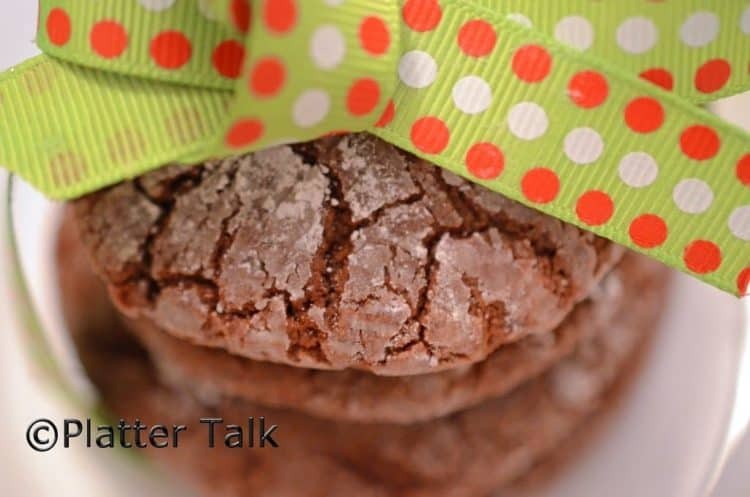 🙂 Chocolate crinkles is one of my favorite cookies. YUM! 🙂 Have a great week! Thanks so much, these are almost too easy! I can and sometimes do make cookies, but Mrs K R is such a great baker, that more often than not she does it. Plus she loves it! 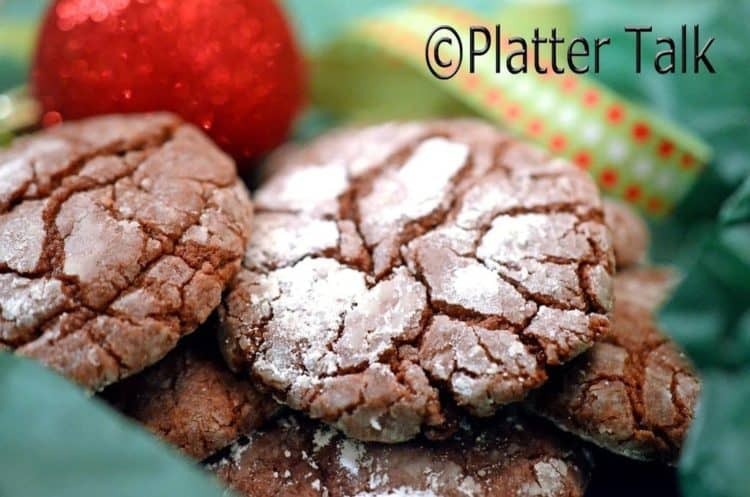 These are such a great cookie, and perfect for this time of the year. Thanks. You really can’t go wrong with this classic! G’day! I have always wanted to try these cookies, true! Now they are higher up on my list to do! Great photo too! A Christmas cookie classic! These look awesome, Dan. I love that you used a boxed mix, too! Keeping it easy is totally my style. You rocked ’em! Thanks, Georgia. Easy is good! 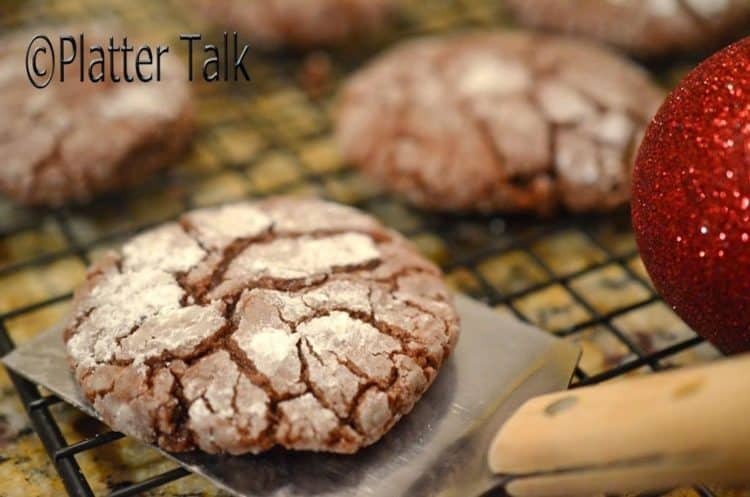 Thanks for linking these up to Foodie Friend Friday Cookie Exchange Party. We have a party each with, usually with a different theme and would love if you came back.